To treat myself after going through a particularly stressful time at work last month, I decided to finally enjoy the marshmallow treat from Dora. Due to the sensitivity of the issue, I won't go into details here, except that it's to do with a report I made on harassment in the office. I'm glad I got the backing of the CIO and a senior woman colleague who were very supportive of my case, and while there seems to have been positive steps since the incident we would have to observe behavior to ensure it is not repeated. Though HR didn't seem as supportive, perhaps due to language or experience, I hope through my personal experience there would be more awareness and empowerment. Anyways, this birthday treat has been a little delayed. Those who know me would know that I take a long time enjoying my gifts because I want to prolong the lifespan of the gift! It has still been a little chilly despite it being spring. 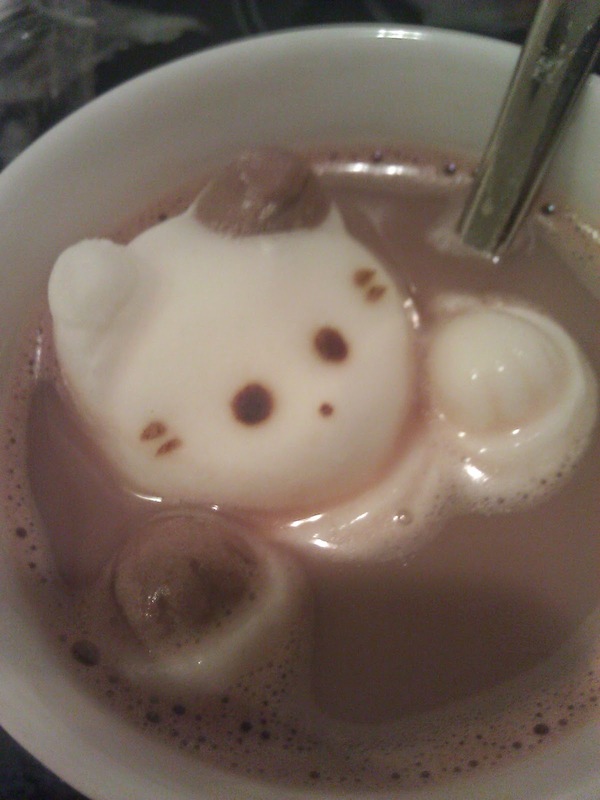 One late evening as a night cap I thought I'd try the marshmallow birthday gift to cheer me up. 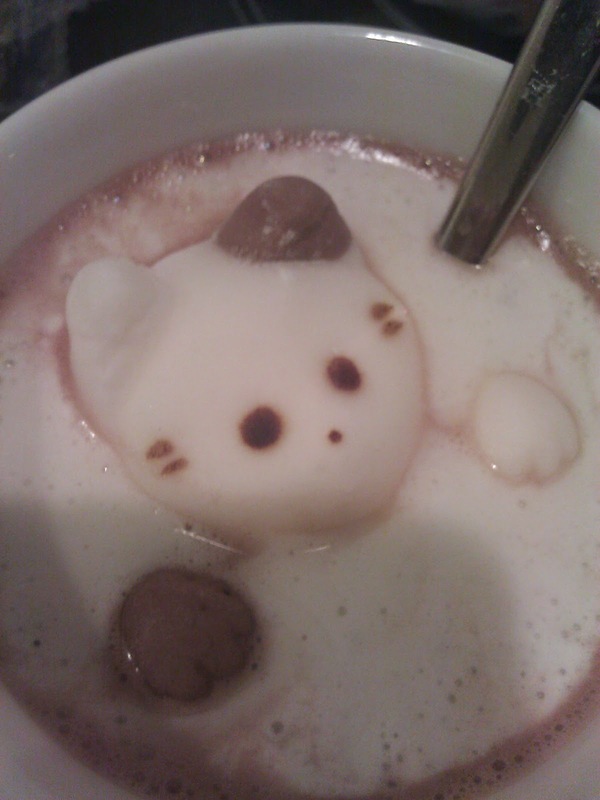 I had to carefully lower it with a spoon as I didn't want kitty to drown too early. I needn't have worried because it stayed floating for a bit. 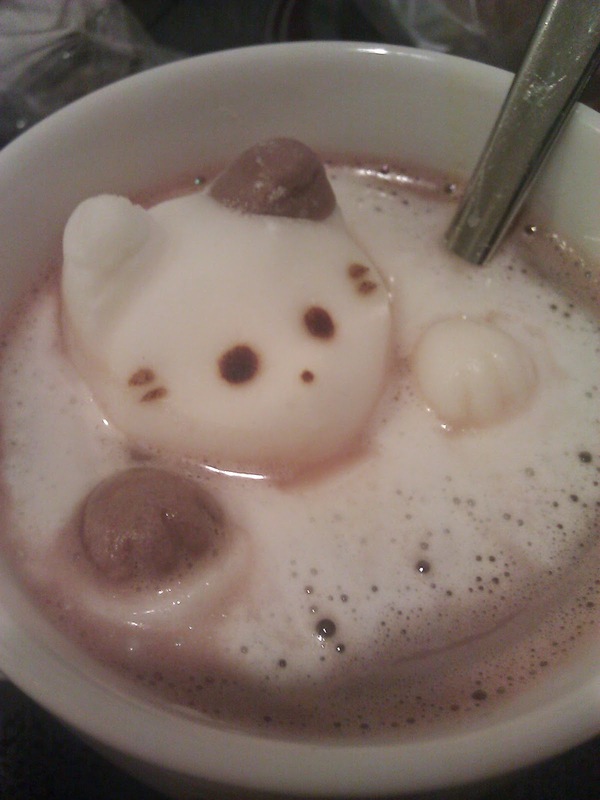 Slowly the surrounding parts started to melt, but the head and paws were still visible amidst the frothy surface. 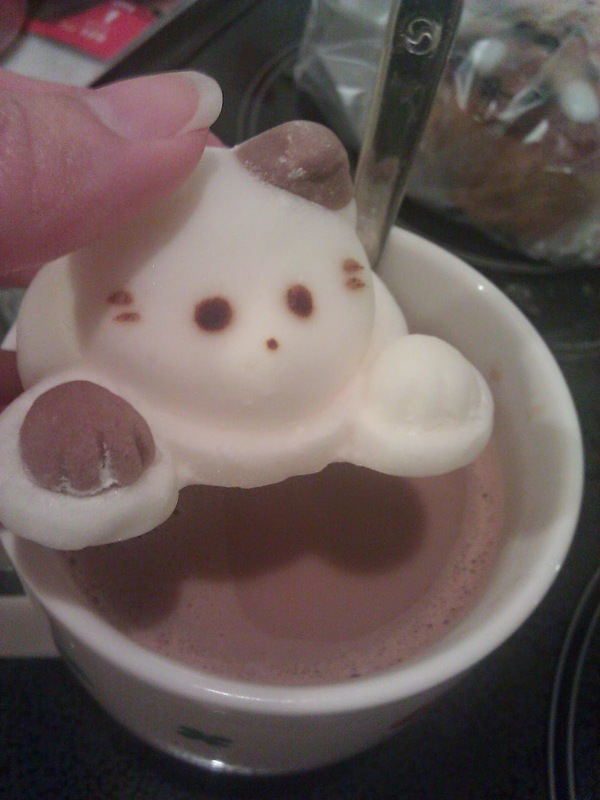 Later I found out that a Japanese online shop creates these marshmallows by hand, and only makes a handful at any one time. 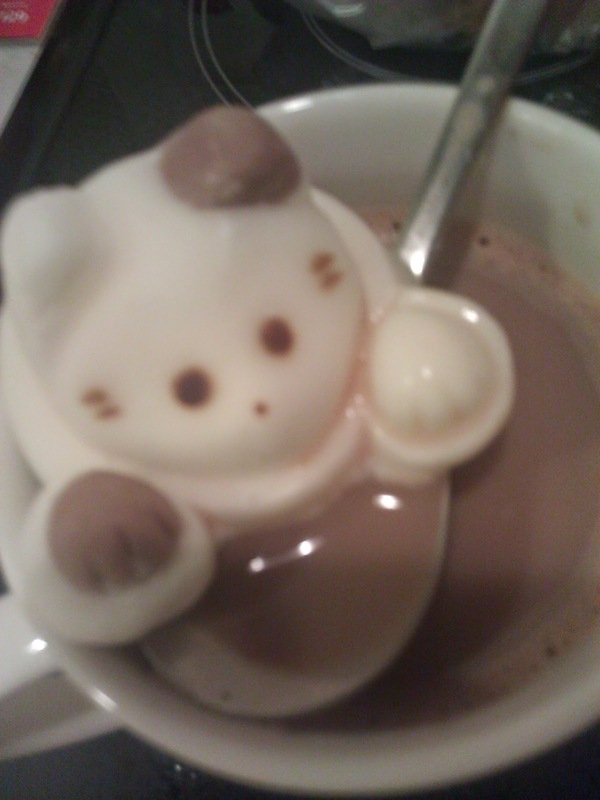 These were initially created for coffee lovers who wanted cute designs on their latte. 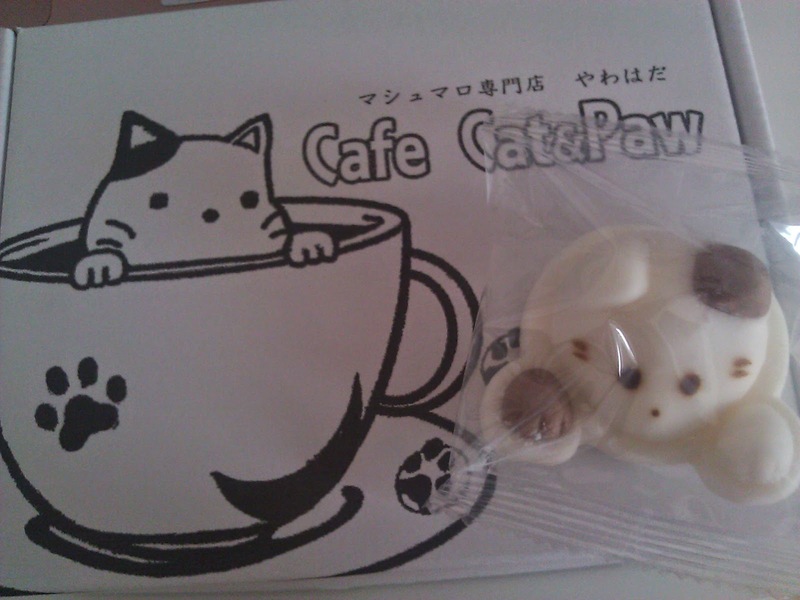 They then branched out to more than just kitten paws, but other shapes and even different seasonal creations for special occasions.